I love a good cup of tea. Any time of the day, no matter the temperature, and no matter where I am, I will drink a cup of tea. Typically a whole pot! Why not, right!? I probably have three-seven cups a day (depending on how stressed I am), but my teeth suffer from it. I have tried to keep them as white as possible in the past, but it's so difficult 1) because, I love me some tea, and 2) none of the whitening strips I have tried worked for me. Even if they showed hopes of working my sensitive teeth would ache for DAYS, and sometimes even weeks! So I stopped using whitening strips and just brushed really hard two-three times a day. I think we all know that doesn't quite do the trick to get white teeth though. 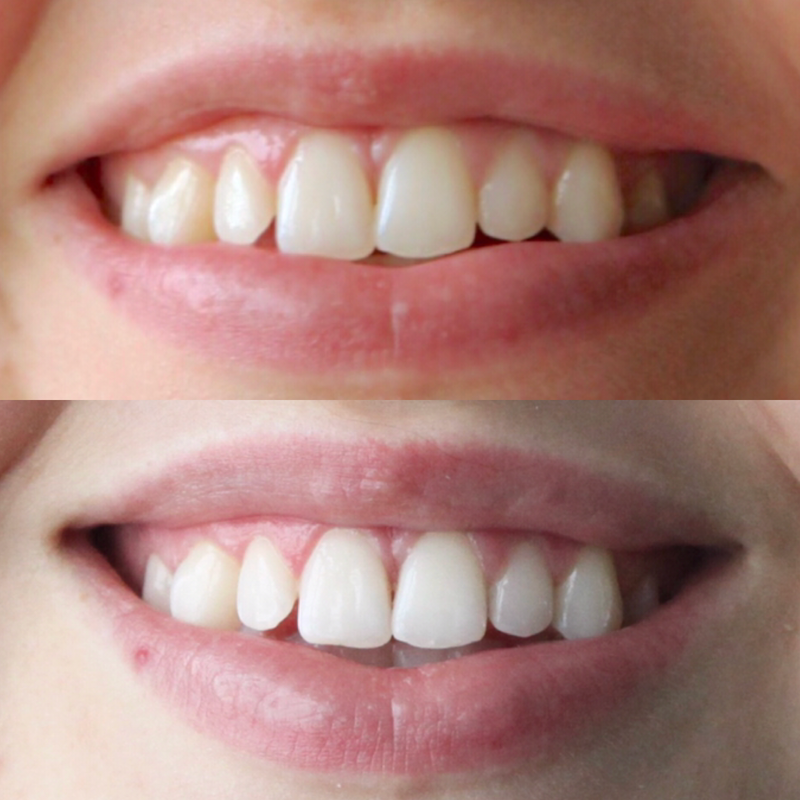 When Smile Brilliant reached out I was thrilled to try them out! Not only does it WORK better than anything I have ever tried, but they had a special desensitizing gel for those with sensitive teeth (ME!!!!)! I am honestly beyond thrilled with the results! I could tell after the very first session, which I kept in for an hour, and it was amazing! It was so easy to do too (big plus since I am SO busy, agh!). I would wear my custom trays while doing homework, writing blog content, watching movies... So easy! Who wants a FREE kit!? Well, it's one of my readers lucky day, because I will be doing a giveaway here with Smile Brilliant! and for the rest of you I have a special discount code for you as well! This is my discount code for each of you to get $15 off your set of custom trays: confidencecori15. Click HERE to enter the giveaway for $139 credit for Smile Brilliant! This great anyone to use, and I am so happy to be sharing it with you, ladies!